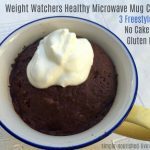 My post for 3-2-1 microwave mug cake is one of the most popular here on Simple Nourished Living. 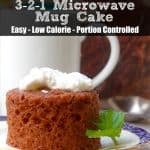 When you are a Weight Watcher craving cake, what could be better than a simple recipe for 2-ingredient cake you can mix in a mug and microwave in less than a minute? 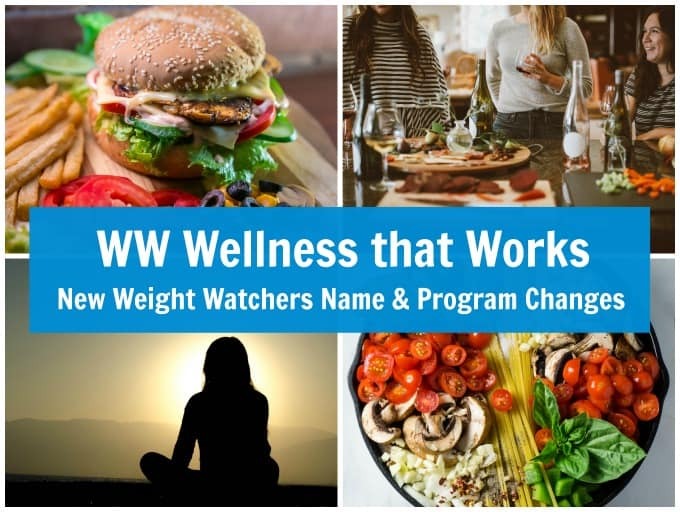 The demand was so great, Weight Watchers now sells their own version, WW Chocolate Supreme Mug Cake (affiliate link) with just 3 SmartPoints, at their meeting locations. I understand they are so popular they can’t keep them on the shelves. 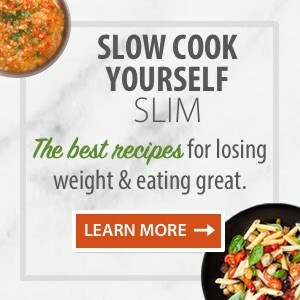 Ingredients: Ingredients: enriched self-rising flour [enriched bleached wheat flour (bleached wheat flour, niacin, reduced iron, thiamin, mononitrate, riboflavin, folic acid), salt, baking powder, calcium sulfate, enzyme], cocoa processed with alkali, corn fiber, canola oil, egg, baking powder, natural and artificial flavors, salt, sucralose, acesulfame potassium. I’m not a big fan of artificial sweeteners and sucralose (aka Splenda) gives me a wicked headache. I’ve also been playing with cutting back on gluten, which surprisingly enough has resulted in significant improvement of my rosacea. 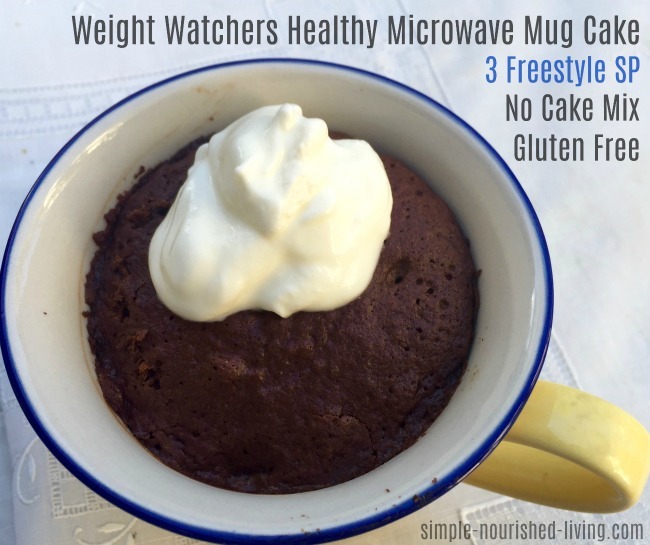 So, as I was scanning the new WW Freestyle Program Eat What You Love Booklet, I was excited to spot a recipe for a microwave mug chocolate cake made from scratch, without artificial sweeteners that was also gluten-free!!! 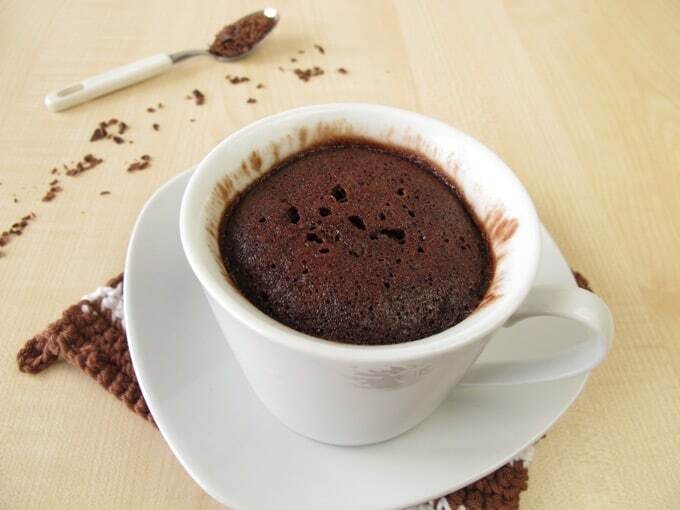 With just *4 PointsPlus, or *3 Freestyle SmartPoints, 148 calories, 6g fat, 15g carbs, 3g fiber and 9g protein, this little chocolate mug cake has a nutritional profile much better than your standard cake and tastes pretty darned good too! Perfect when you want a little cake to satisfy a craving without having to deal with the temptation of leftovers. 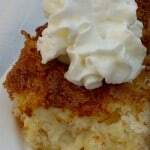 Even my cake connoisseur husband liked it. Enjoy! Enjoy it just as it is, or personalize your mug cake with toppings such as powdered sugar, sprinkles, whipped cream and/or sliced fruit. 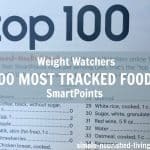 Just remember that adding certain toppings may increase the SmartPoints value. If you’ve made this microwave mug cake, please give the recipe a star rating below and leave a comment letting me know how you liked it. Coat the inside of a 10 - 12 ounce microwave safe mug with cooking spray. 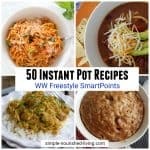 In a small bowl stir together all ingredients until smooth. Pour the mixture into the prepared mug. Microwave on high for 60 to 90 seconds or until done in the center. Enjoy it just as it is, or personalize your mug cake with toppings such as powdered sugar, sprinkles, whipped cream and/or sliced fruit. 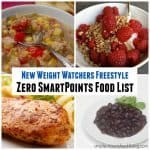 Just remember that adding certain toppings may increase the SmartPoints value. I made this last night for my after dinner treat. It tasted very good and I will make it again ~ very quick and easy. I was surprised that it was only about the size of a hockey puck given that the directions call for a larger size mug, but it was very tasty and fudgy. I wondered if I was supposed to reconstitute the chocolate powdered peanut butter prior to adding it with the other ingredients or if you just added the powder to the ingredients. Thank you. I used MCT oil and lite pancake syrup (didn’t have agave). This was really good! I substituted 1TB of xylitol for the agave nectar, and it was the perfect amount of sweetness. It really filled my craving for chocolate. Thank you! 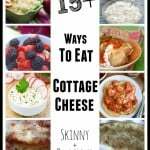 I think this recipe runs closer to 180 calories if followed exactly as written.